The word “mindfulness” seems to be everywhere lately. It appears on magazine covers, in books, and on TV shows. You hear about it through doctors, through celebrities, and through business leaders. It is being taught in schools, in companies, and in health and wellness facilities. We live in a turbulent world. 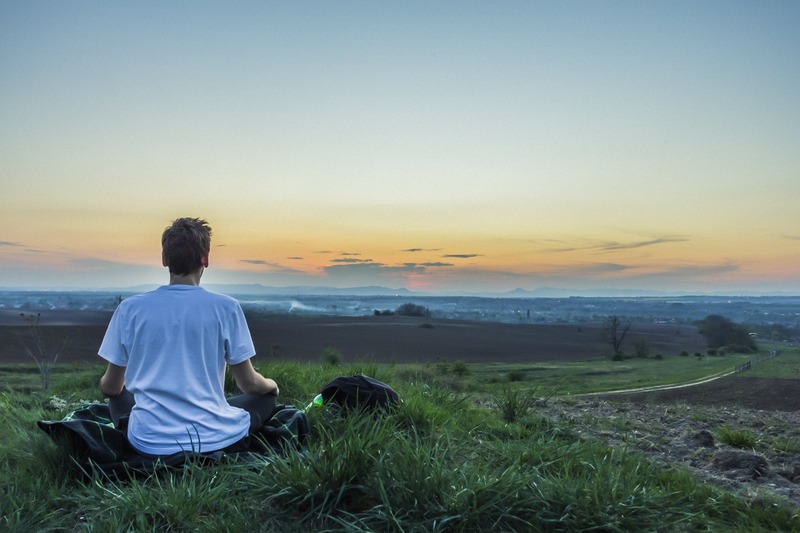 Mindfulness has exploded in popularity because the benefits are well-documented and vast. Mindfulness can reduce stress, anxiety, and depression and help you be calmer. It can lead to clearer thinking, a sharper memory, and an improved ability to focus. Being more mindful can even lead to physical benefits, such as better sleep quality and a stronger immune system. To truly be mindful, you need to be deliberate with where you focus your thoughts. Mindfulness cannot occur without intention. Another key is that you need to be focused. You cannot be distracted. Finally, you need be in the present moment. You cannot be ruminating about the past or worrying about the future. This is often easier said than done. The common thread in these examples is trying to do and/or think about two different things at the same time. When you try to multitask, you are not focused and fully present in the moment. As a result, you are not being mindful. Awareness is not necessarily the same thing as mindfulness. Let me share an example from a business networking event that I attended recently. At one point, I was in a conversation with a former co-worker who was scanning the room to see who else was there. Maybe she thought it would be more valuable to be speaking with potential clients at the event, rather than me. She might have been aware that she was speaking with me. However, she was not mindful during our conversation. Her attention was clearly divided. Mindfulness is focused awareness. You are being mindful when your thoughts and behavior are completely in sync. Which activities help you practice mindfulness? Mindfulness is usually associated with certain activities, like yoga, meditation, journaling, reading, and spending time in nature. However, your approach is more important than the actual activity. Even things typically linked to being mindful can be performed in a mindless way. For example, if you spend an entire yoga class wishing you were somewhere else, did you really practice mindfulness? As another example, let’s say that you go for a walk on a beautiful trail, but you spend the entire time thinking about an upcoming meeting. Were you really mindful during that hike? It is natural for your mind to begin to wander. The key is to recognize when you have lost focus. Then, re-direct your attention back to the present. There are an endless number of ways to practice mindfulness. You can practice while eating, while working, while spending time with friends or family, or even while cleaning your kitchen. It’s all about your approach and intention. The actual activity is less important. Despite what some people might think, you can even be mindful during activities that are aggressive and not gentle. For example, you have to practice mindfulness while lifting very heavy weights and doing other forms of athletic training that are complex and uncomfortable. The difficulty of the activity requires a “deliberate, focused attention on the present moment” (my definition of mindfulness). Otherwise, performance declines, and there is a risk of serious injury. Easier, gentler forms of exercise are actually more likely to be associated with mindless behavior. You are much more likely to see someone playing with their phone while they cruise along an elliptical than while they do a more complex, difficult movement. Exercise is one example of how anything can be done mindfully or mindlessly. Meditation and yoga are two common ways that people practice mindfulness. However, any activity can be done mindfully (or mindlessly). If you would like to reap the rewards of being more mindful, you could start by picking one activity that you do each day. That could be eating lunch, talking with someone close to you, performing a certain task at work, or something else. Once you have something in mind, set an intention to focus all of your attention on that activity when you are in the moment. If and when you notice your mind start to wander, don’t fret. Just re-direct your attention to the present. Like anything, the only way to get better at mindfulness is with practice.